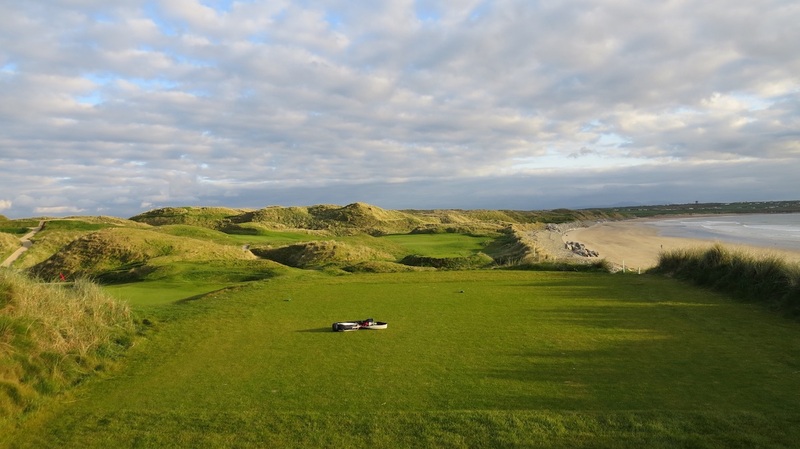 Blessed with the most formidable dune structure in Ireland, golf was introduced to the small Kerry town of Ballybunion in 1893, though its first club folded within five years because of financial difficulties. 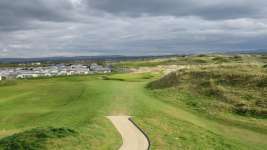 The present Ballybunion Golf Club was not formed until 1906, when prominent town folk commissioned local golf writer Lionel Hewson to design them a new nine-hole course on their spectacular coastal linksland. By 1927 the links had been extended to eighteen holes and in 1936 the club employed Tom Simpson to make further revisions and help shape a great piece of land into a great golf course. 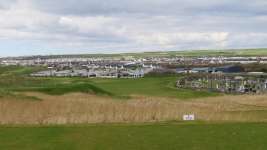 When Simpson first toured the site he was genuinely impressed with the existing course and delighted by its prospects, even remarking to the club that, ‘never for one moment did I imagine, or expect to find, such a really great course or such a glorious piece of golfing ground.’ Aside from relocating the current 7th, 9th and 13th greens and adding several bunkers, most notably in the middle of the first fairway, his report to the club was full of only minor alterations or ‘finishing touches’ as he called them. The club could not afford to enact all of his changes immediately but pleasingly over the next three decades continued to refer to the Simpson report when future amendments were made. 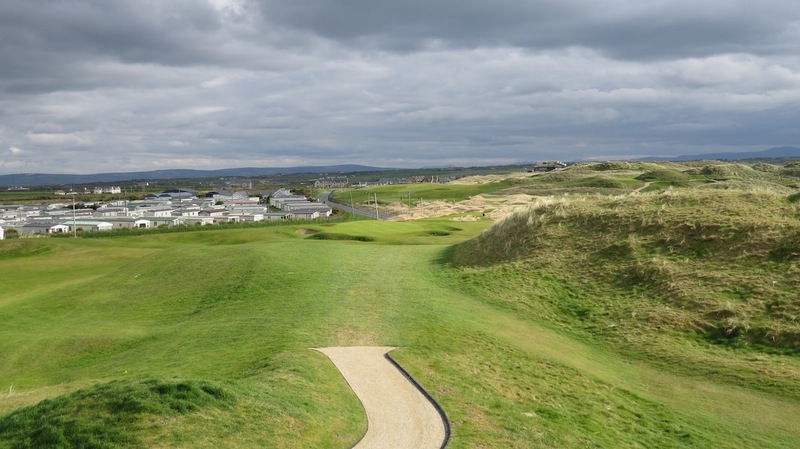 That Ballybunion was initially created by somebody else and existed successfully before Simpson’s visit does little to dismiss claims that he improved the layout and is the man most responsible for its elevated international profile. 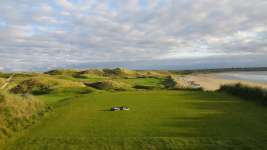 Stretching from the town road right to the edge of the Irish west coast, the Old Course at Ballybunion twists through a collection of soaring sandhills, the layout ducking in and out of the dunes with great irregularity and spreading the seaside experiences throughout the round. 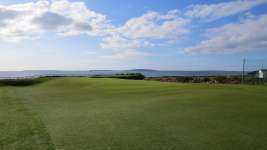 Remarkably the inland golf and some of the transitional holes into and away from the water are among its most memorable moments. 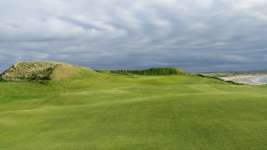 Early examples include the relatively simple opening hole and the par four 2nd, a smashing hole squeezed up through a narrow gap between large dunes. Following a solid par three and a couple of fairly nondescript par fives, the real fun begins at the short 6th, which takes the golfer toward the coastal cliffs for the first time and may have the most evil green site in all of Ireland. With both fairway and green set obliquely along a narrow ridge, the decision from the tee is whether to lay-up high and pitch along the length of the ridge or to play long and try a delicate chip and putt for your birdie. This is one of those classic risk-reward holes where every straight inch gained with your driver makes the approach slightly easier but every yard strayed makes it more difficult. 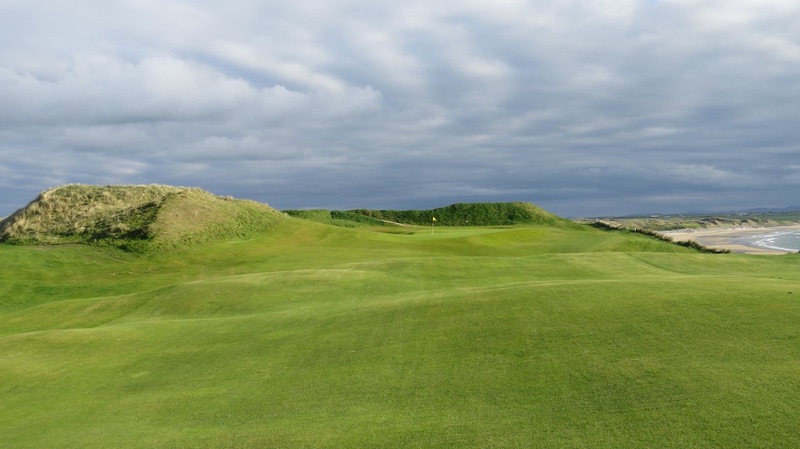 The next, dramatically played along the very edge of the Atlantic, is the first of Ballybunion’s internationally famous par fours while the short 8th and vastly underrated 9th, both away from the sea, are also outstanding. Featuring a collection of pin-up holes, the back nine begins with a terrific short par four that heads toward the shore and offers countless options of attack. 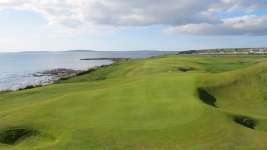 Further highlights include the four and a half par 13th, par three 15th, steeply uphill 16th, and the fabulous 17th, its skinny fairway falling toward the ocean and then twisting around a massive dune as it follows the beach. Stealing the show, however, is the magnificent 11th, an extraordinary hole that hops along the edge of the cliffs and through deep dunes to a green nestled beyond a shallow sand saddle and set before the crashing seas. While glamorous holes like 7, 10, 11 and 17 attract most of the headlines here, the entire experience is awesome, from a routing that attacks the hills in a variety of ways, to greens whose simple appearance continually mask the intricacy of their clever slopes. The club also has a second course, The Cashen, which opened in 1980 and was built to capitalize on the success and popularity of its venerable classic. 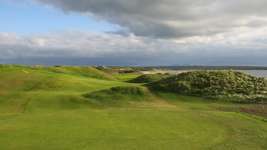 Course designer Robert Trent Jones described its virgin site as the ‘finest piece of linksland in the world’, and while the layout does boast beautiful natural green sites and dramatic fairway passages through the heaving dunes, it lacks the broader and more playable fairway corridors of the Old Course and has too many small, steep and overly contoured raised greens. 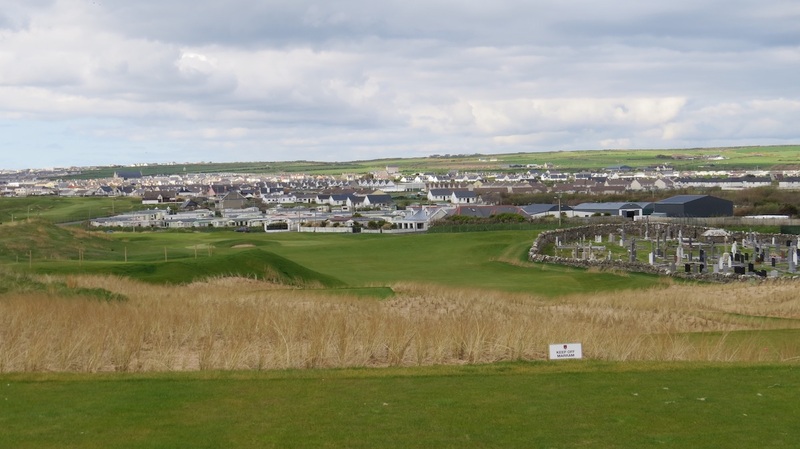 The Cashen Course does have its fans, but for first-timers to Ballybunion it should really only be considered when the Old Course timesheet is full. 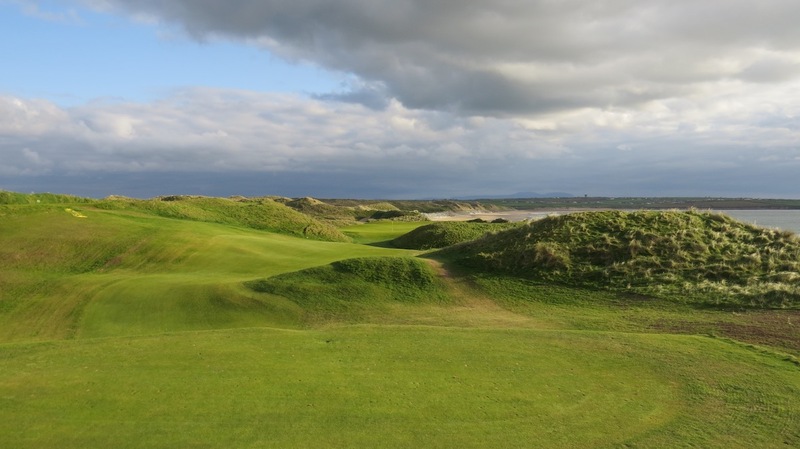 Since our original review, many changes have been made to the Old Course at Ballybunion. Back tees have been added along with extended areas of marram grasses. The 1st tee has also been moved seaward, unfortunately bringing the 16th green into play from that opening tee. There are a number of other instances now where you need to exercise great caution from the tees, with adjacent greens at risk from stray balls. At least six holes now require back tee players to wait until neighboring greens have been cleared before play, which is not ideal. The other noteworthy change made in recent times was to redesign the excellent 7th green, which we look forward to reviewing on our next visit.